Life insurance can be a smart estate planning tool, enabling you to provide for your family and loved ones financially after you pass. When purchasing a life insurance policy, one of the most important steps is designating a beneficiary to receive the proceeds of your policy following your death. While this may seem like a relatively simple decision, naming the right beneficiaries on life insurance can be challenging and mistakes can be costly and time consuming to the ones you leave behind. 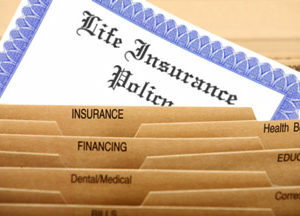 A common mistake is made when one names their estate as the beneficiary of the life insurance policy. In Florida, naming your estate as a beneficiary subjects these benefits to unwanted consequences. Naming an estate as the beneficiary may happen intentionally or by default if the beneficiaries listed predecease you. This is why updating and reviewing your life insurance policy’s beneficiary designation is crucial to proper estate planning. By listing the estate as the beneficiary of the life insurance policy, the proceeds become an asset of the probate estate and subject to the claims of creditors. Probate. Assets that are titled in your individual name upon death or in the name of your estate will require probate to collect and distribute the assets. Depending on the size and complexity of your probate estate, it can take months before assets will become available for distribution to your beneficiaries. Life insurance proceeds that are paid to your estate are then subject to all of the costs associated with settling an estate, including taxes, administrative costs, attorney fees, executor fees, etc. In the alternative, if you name an individual, charity, or trust as beneficiary on your life insurance policy, the process to release the proceeds is shortened immensely by the completion of forms and presenting the death certificate to the insurance company. The insurance company will distribute the proceeds to the beneficiary or beneficiaries based on the distribution designated by you. This leaves little work for your beneficiaries in collecting the proceeds and a shorter time period by which they will receive them. Creditor claims. Under state law, life insurance proceeds payable to an individual, or in some cases a trust, are exempt from creditor claims. By leaving the benefits of your life insurance policy to your estate, you open up the opportunity for creditors to collect from those proceeds to satisfy their claims. That means your life insurance proceeds could be used to pay off any outstanding debts you may have at the time of your death prior to distribution to the beneficiaries of your estate. Rather than naming your estate as beneficiary, a better plan may be to name a trust. Proceeds distributed to a carefully constructed trust will be shielded from the claims of creditors. Additionally, it prevents the life insurance proceeds from being included in the probate estate. Naming the trust as the beneficiary eliminates additional steps and time involved in collecting the proceeds that would be involved if the estate was the beneficiary. Also, with the trust as the beneficiary, the distribution of the proceeds will not be postponed due to satisfying debts, expenses or creditors’ claims of the estate. For assistance in designating beneficiaries for your life insurance policy when estate planning in Orlando, it is advisable to consult with an experienced central Florida attorney. Your attorney can assist you with reviewing and updating your beneficiary designations to avoid prevent your estate from being listed as the beneficiary either intentionally or by default. This can include setting up a trust if you do not have one already in place.